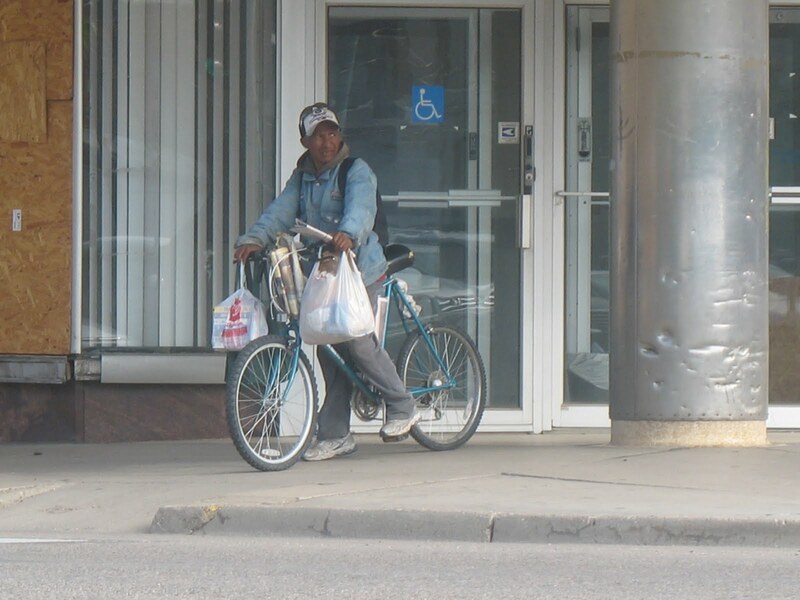 Seeing this guy this morning on my way to work reminded me of a cyclist I met 10 years ago in Chile. He was a Japanese man, that had started his cycling trip in Alaska and had ridden all the way to the southern portion of Chile (with a portage around the Darien Gap). Somewhere in Mexico, he had met a French cyclist who was riding the same route. They were two completely different cyclists. 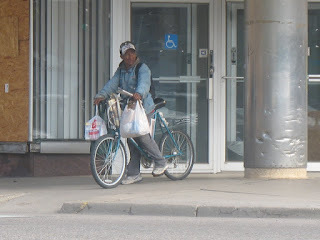 The Japanese guy was very non-high tech, with plastic bags strapped all over his bicycle, and wearing regular clothes. The French cyclists was the exact opposite, everything carbon fiber, nice panniers, fully loaded with spandex and Gore-Tex. Despite their obvious cycling differences, they had become the best of friends and continued their journeys together.